1 In small bowl, combine first 5 ingredients; set aside. 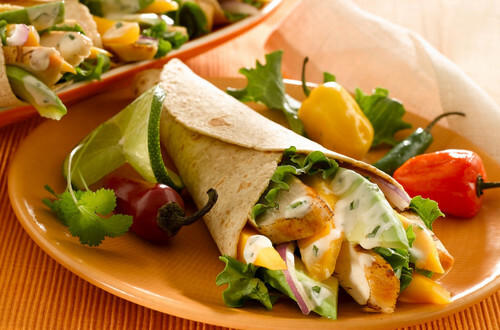 2 On tortillas, evenly layer remaining ingredients, then drizzle with mayonnaise mixture. Roll up and enjoy! SUBSTITUTION: Use 1 lb. refrigerated or leftover pre-cooked chicken.